Yet another first, the Enhanced Castle Nut and Extended End plate combo represent Strike Industries’ dedication to thinking outside the box. The SI Enhanced ECN and EEP stand out from the generic parts kit units in both aesthetics and function. 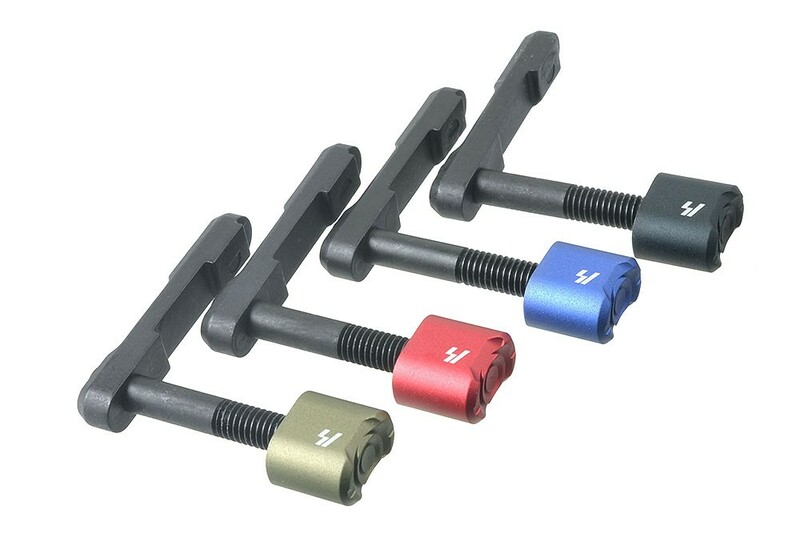 The steel castle nut has been lengthened to match the extended end plate, supporting more of the receiver extension’s threaded area, and improving aesthetics. The extended end plate features a Quick Detach sling swivel mount, pushed back away from the webbing of the primary hand. 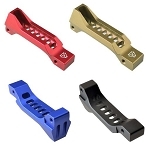 This allows weapons manipulations in tight spaces and under stress, without the startling pain that can result from a pinched hand when using a sling attached to a standard, flat QD end plate. Note: Due to dimensional tolerances between some manufacturer's receiver extension collar lengths and differing amount of true threads on various buffer tubes, some may experience difficulties installing. Please contact [email protected] for a replacement castle nut if you cannot install. - Simplified installation of takedown pin detent via set screw.